Anyone familiar with the peculiar manner in which Philippine politics sometimes operates will recognize the circus-like atmosphere that can prevail under ordinary circumstances. When high profile dynamics are thrown into the mix, the result can be surreal. Such is the case regarding the corruption charges pending against former President Arroyo, accused of diverting state funds and election rigging during the presidential campaign in 2004, tampering with congressional polls in 2007, and engaging in Marcos-esque corruption during her 9-year tenure as president. Many in the Philippines believe she and her husband were actually worse than the Marcoses in that regard. Arroyo has come to emulate the theatrics of Imelda Marcos by repeatedly trying to leave the country for medical treatment (presumably, never to return), seen confined to a wheelchair and in a neck brace for a previously undisclosed and supposedly serious back ailment, predictably with a throng of devotees and flashing cameras in tow. She claimed she could only get adequate medical treatment for the mysterious condition outside the country, even though many doctors in the country are western trained, and there is at least one private hospital in Manila that rivals the best anywhere in Asia. President Aquino was right to prevent her from leaving and not to give in to pressure to simply let bygones be bygones and pardon her, as she did with her predecessor, former president Estrada. That would have been the worst thing he could do, and he knew it. So much for the circus part of the story -- now for the sanity. What is happening in the Philippines this week reminds us that sometimes, the government can actually get things right. On Monday, the Philippine House of Representatives voted to impeach Chief Justice Corona for allegedly violating the constitution and betraying the public trust in connection with the trial of former president Arroyo, who originally appointed Corona to the Supreme Court. Corona is the first Chief Justice and Justice of the Supreme Court to actually be impeached by the House. Under the Philippine Constitution, the House has the exclusive power to initiate cases of impeachment against the President, Vice President, members of the Supreme Court and constitutional commissions, and the Ombudsman. The impeachment proceedings required at least 95 signatures (one-third of all members of the House) to move forward. In the end, 188 of the 284 members of the House voted to impeach Corona, and the case was formally remitted to the Senate on Tuesday. The impeachment of Corona is an appropriate example for drawing lessons from the experience of the United States, whose constitutional practices and provisions were written into the Philippine Constitution almost verbatim, and whose case law is usually directly cited in the Philippine judicial system. Justice Samuel Chase, appointed by George Washington, remains the only United States Supreme Court justice who has ever been subjected to the impeachment process, and his acquittal played an important role in preventing the overt politicization of the process. The core of the allegations against Chase was that his extreme Federalist bias had led to his treating defendants and their counsel in a deliberately unfair manner. In response to the articles of his impeachment, Chase argued that all of his actions had been motivated by adherence to precedent, judicial duty to restrain advocates from improper statements of law, and considerations of judicial efficiency. The Senate acquitted Chase of all charges, supporting the view that grounds for impeachment should be either based on criminality or abuse of office, rather than partisanship. Ironically, Corona has himself argued that the framers of the US and Philippine Constitutions "intended impeachment to be an instrument of last resort, a draconian measure to be exercised only when there are no other alternatives available." He wrote that a great deal of prudence must be exercised in the impeachment process, which should not be used as a bargaining chip or a weapon for political leverage. Since the time of Jefferson, all presidents and most members of Congress in the United States have generally eschewed the impeachment process as immensely partisan and cumbersome, given that time and resources allocated for legislative work is instead diverted to the impeachment process. The Philippine economy suffered a serious blow during the impeachment trial of former President Joseph Estrada in 2001. The eight charges brought against Corona, which will serve as the articles of impeachment when his trial proceeds, include culpable violation of the Constitution, graft and corruption, and betrayal of public trust -- citing specifically his "undue closeness" to Arroyo and suspected affinity for siding with her administration in politically-significant cases. Supreme Court Spokesman Marquez confirmed that Chief Justice Corona will not resign, and will squarely face the impeachment case against him, calling it "an assault on all the rights, powers and privileges of the entire judiciary." Supporters of Corona further point to the impeachment as a form of political maneuvering buttressed by a perceived popular pulse against Corona and the Supreme Court itself, which they believe is being forced to surrender its constitutionally mandated functions and powers to "the whim and caprice of political machinations." In recent weeks, President Aquino openly criticized the Supreme Court in several interviews and speeches for its partiality, which culminated in its issuance of a temporary restraining order against watch list orders issued by the Department of Justice that prohibited Arroyo from leaving the country. While this seems to be a dangerous strategy for Aquino's camp, since it pits the executive (and now, legislative) branch against the judiciary, the viewpoints of the opposing sides in the impeachment issue are not unfounded. It is only reasonable to expect Supreme Court Justices to rise above politics, personal gratitude and affinities -- in any country -- and to make decisions based on constitutionality, fairness and impartiality by interpreting the country's laws and settling controversies through an appreciation of a given set of facts and applicable laws, while taking into consideration their respective beliefs and legal philosophies. When a Justice commits wrongdoing and falls short of these expectations, it is incumbent upon the powers that be to take action. Impeachment is a legal process that is part and parcel of a healthy democracy. Although viewed by the opposition as an attempt to destabilize the Court, the impeachment process is nevertheless a legal and constitutional remedy that aims to exact accountability for possible abuses committed by those in the High Tribunal. The House prosecution must be exact in addressing potential weaknesses in the case. Corona's supporters in Congress and the courts maintain that he is being singled out for collegial decisions of the Supreme Court, and that some issues have already been addressed by Congress and the Office of the President, such as Corona's "midnight appointment" and the alleged gerrymandering of local government units. When President Aquino himself admits that the Chief Justice is the last stumbling block to his reform agenda, it will not be surprising to see the Senate -- tasked to try and decide on the impeachment -- incorporate partisan politics during the trial. As judges during the impeachment trial, the Philippine senators should of course ignore political affiliations and thoroughly scrutinize and vote on the merits of the case that will be presented, so that the proceedings will not be seen as another political scandal that unfairly diverts attention away from more pressing legislative issues. A difficult road lay ahead for the country's judiciary. At a time when the political and public pulse often dictates collective decision-making in the Philippines, the country looks to the judicial branch and the Supreme Court to be an impartial entity, capable of deciding on the most difficult and politically divisive legal matters with exactitude and fairness. Given Corona's track record of revealing his partiality to former President Arroyo, trust is a big issue. The citizens of the Philippines expect their Justices to be persons of proven competence, integrity, probity and independence, even if that has not proven to be the case numerous times in the past. The rarity of impeachment and reluctance of lawmakers to utilize this constitutional tool is a measure of the gravity of the situation. The process is not invoked by mere suspicions of wrongdoing and other less than serious grounds, or even the espousal of controversial or unpopular points of view, but by criminality and substantial abuse of power. Thus, conviction must happen only if it is clear cut. It is the task of the House prosecution panel to provide substance to its allegations against Corona himself, without compromising the authority and independence of the Supreme Court as an institution. The task before the legislators in the Philippines is of the highest possible importance. They have an opportunity to demonstrate that they are capable of rising above the smelly 'business as usual' among the privileged class, and actually do what they were put in office to do. The ability to establish (not restore) public confidence in the legislative process ought to be seen as the overriding objective of the legislators. Our fear is that, in the end, partisan politics, entrenched interests, and old fashioned greed will win out over common sense and simply doing the right thing. If, in the face of substantial proof of wrongdoing, Philippine lawmakers fail to impeach Corona, it will not only be yet another sad day for Filipinos, but the Philippines will be sending yet another in a series of predictable messages to the rest of the world that it is incapable of functioning as a legitimate democracy - something many other democracies have proven themselves able to do for a long time. 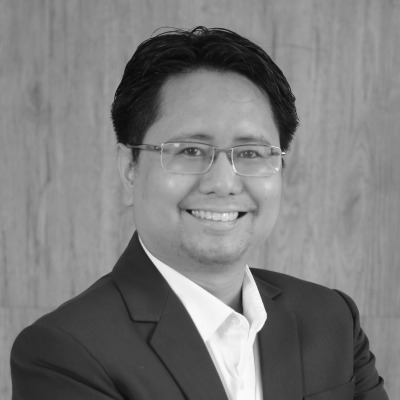 * Edsel Tupaz is founder and managing partner of Tupaz and Associates, and a professor of international and comparative law, based in Manila. Daniel Wagner is CEO of Country Risk Solutions, a cross-border risk management consultancy based in Connecticut (USA), and author of the forthcoming book Managing Country Risk (March 2012). Public interest attorney and legal academic.